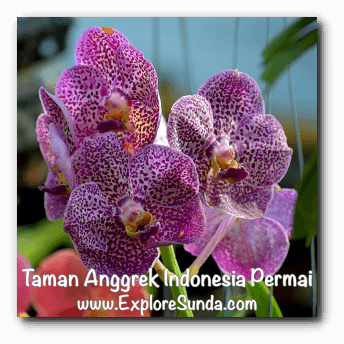 Although it is named Taman Anggrek Indonesia Permai (TAIP), it is not a park or garden per se (taman is bahasa Indonesia for garden). TAIP is the place where we can buy many kinds of orchids! 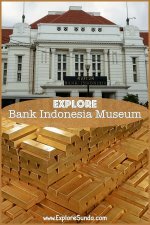 TAIP was first opened on April 20, 1993, which was heavily supported by the former first lady ibu Tien Soeharto. In the same year Indonesian government declared one variant of the orchids, the Phalaenopsis amabilis (a.k.a. 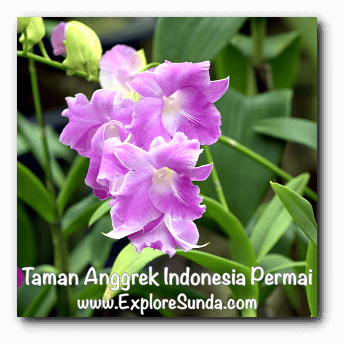 moth orchid or moon orchid), as Puspa Pesona (Indonesia Flower of Charm). 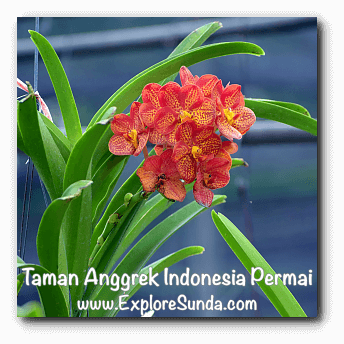 As you can imagine, TAIP has an important role in breeding and disseminating orchids during that period. How about present time? 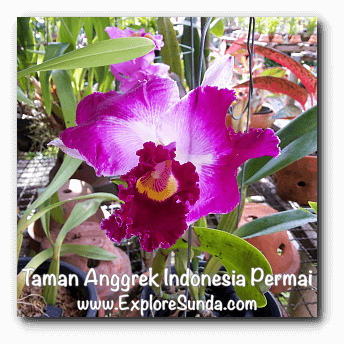 We, from the ExploreSunda.com, visited TAIP in the beginning of February 2018. TAIP is located near Taman Mini Indonesia Indah, but it has different parking lot and gate. Sadly, the street sign to TAIP is almost nonexistent. So, if you are not familiar with the area, you'd better turn on your google map immediately, before you get lost and spend hours circling this heavy traffic area. 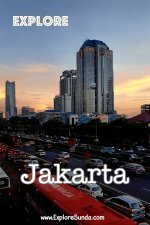 The address is jalan Raya Taman Mini, Kelurahan Pinangranti, Jakata Timur. TAIP has one function hall, usually rented for wedding receptions, a laboratory to produce seedlings, and many lots rented to orchid vendors. One saturday in February 2018 we visited TAIP. The most activities we saw there was several workers prepared a wedding reception in the function hall. Initially, we were confused how to go to the nurseries. It seemed no one around. After we walked through the front gate, finally we found a cement path to the left and right. We followed it and saw the first lot was opened. We found many blooming orchids there, but the ones without flowers are many more. Similar scenes occur in every shop. 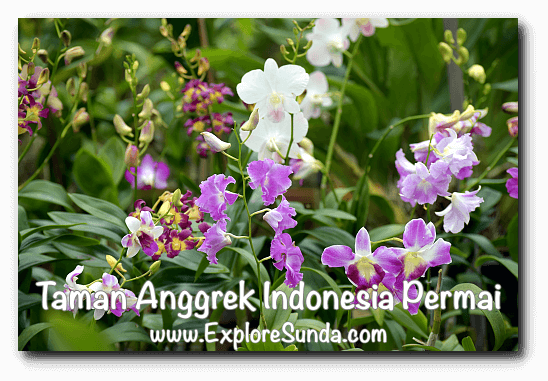 A couple of vendors explained that the lowland such as Jakarta is only suitable to grow orchids from seedling to teenager plants. Then, they will ship to Lembang until they are bloom. Next, they will be returned to Jakarta to be sold. 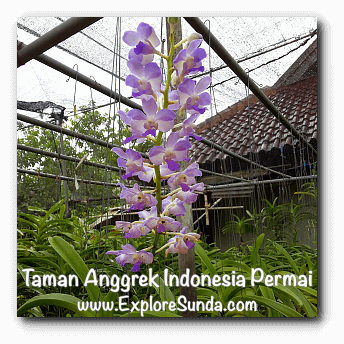 Jakarta is too warm for the orchids, hence it is difficult for the orchids to bloom. Even if they are bloom, the flowers are fewer than the ones bloom in Lembang. As you may guessed by now, the successful orchid farmers have at least two locations: one in highland such as Lembang and the other in Jakarta. When I asked them about the lack of buyers, one of the vendor mentioned some days are better than others. But, I believe they are still profitable, otherwise how could they keep the shops opened until now. Even one vendor rents four lots there. 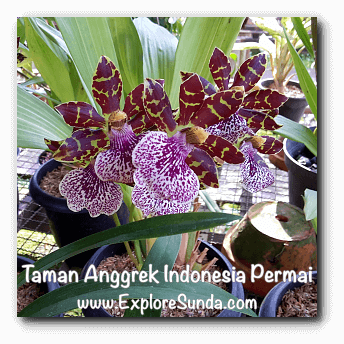 If you like orchids, you will not get bored in TAIP. You will find various types of orchids here, from the popular ones such as phaleonopsis and dendrobium, to the classic such as catleya, and the trending one from Brazil. The vendors relayed that the present trend is people prefer orchids fresh from the forest, which looks are very rare and have sweet-scent. Naturally, they are expensive. Speaking of price, the price in TAIP is rather expensive. A plant without flower is almost Rp.100,000, while the plants with flower is much more expensive, depending on the variant. One pot of vanda on average is Rp. 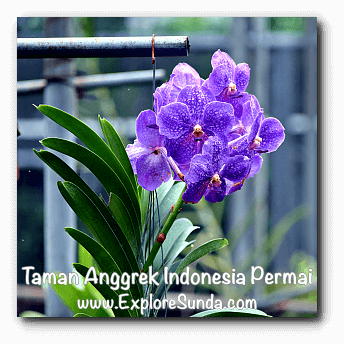 200,000, while the exotic orchid from Brazil is Rp.350,000! There is no admission fee to enter TAIP, we only need to pay Rp. 5,000 for parking ticket when we first enter the parking lot. 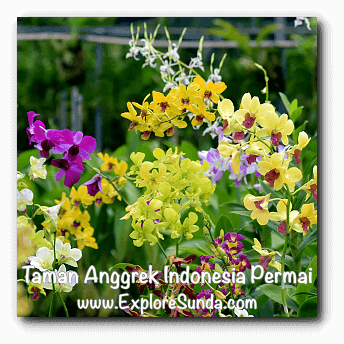 Do you enjoy spending time in Taman Anggrek Indonesia Permai? 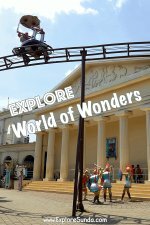 If you do, you might like other flower gardens such as Begonia garden, Orchid Forest Cikole, nurseries in Cihideung, Lembang, and orchid house in Bogor Botanical Garden.